It is a painful thing to confront someone whom one is accustomed to respecting, and to tell that person they are barking mad. Usually one avoids it, or dismisses the other’s strange behavior as “a difference of opinion,” and speaks platitudes about “the importance of diversity,” however when a person is going, “Arf! Arf!” right in your face, there is no way around it. This includes governments, when they become barking mad. The argument states that, if you could get an audience at his glittering palace, King George was quite lucid, and even charming, and that the points he raised, about the government’s right to tax, are valid to this day. There is even some reproach towards America and Jefferson for failing to understand King George’s points. However taxation was not the issue. Taxation without representation was the issue. When one looks back with twenty-twenty hindsight, the solution to the problem seems simple: Simply give the thirteen colony’s thirteen elected representatives in Parliament. It seems like such an obvious thing, to give Englishmen abroad the same rights as Englishmen at home, and seems so conducive to unity and the expansion of an unified kingdom, that to switch the subject to the-right-of-the-government-to-tax seems a sleight of hand bound to stub thumbs, to lead to schism, and to create discord out of harmony. 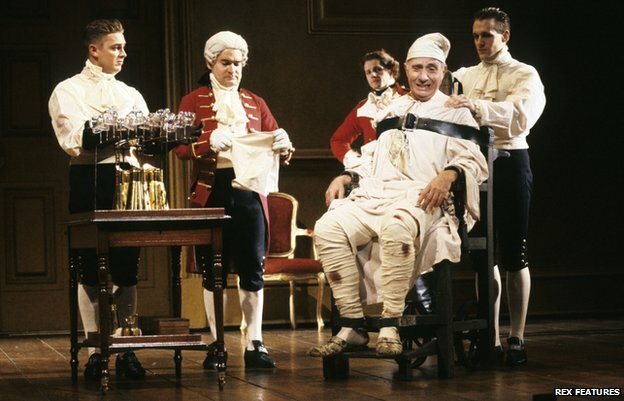 It was, in fact, a barking mad thing for King George to do. As soon as one treats ones own family as the enemy; one fosters a house divided, which must fall. Perhaps the greatest example of this madness occurred in 1914 when three of Queen Victoria’s grandchildren occupied thrones that governed roughly half the planet, as King of England, Kaiser of Germany, and the wife of the Czar of Russia. Unless these relatives considered their own family to be the enemy, there could have been no World War One, which was a calamity and slaughter so mind-boggling, and so shattering to people’s structures of belief, that it’s declaration was in many senses the beginning of a war that hasn’t ended. Unfortunately this is exactly what appears to have happened in Washington, where the leadership has seemingly forgotten, if they ever knew, how hard it is for less privileged people to scrape by. They have lost touch with humble lives that can be quite happy, provided a certain criteria involving basic necessities are met, and instead are making decisions that cause the poor to experience hardships which the leaders themselves are seemingly oblivious to. Enamored by their own eloquence, charmed by their own intellectual gyrations, they fail to see some of their concepts are barking mad. “Cash for Clunkers” was an example of such madness. It was basically an ill-thought-out and erroneous solution to a fictitious problem based on a fraud, however it sounded elegant and efficient to the privileged at glittering parties inside the Beltway. In one fell swoop they imagined Cash for Clunkers would increase the gas mileage of American vehicles, reduce Carbon Emissions and therefore halt Global Warming, increase car sales and therefore stimulate the economy, replace low tech vehicles with high tech vehicles and therefore benefit more advanced technologies and technicians, and do all this for a paltry three billion dollars the nation didn’t have, but that could be printed. In short order Cash for Clunkers then destroyed 690,114 perfectly viable vehicles, which were traded in for 690,114 new vehicles. It was barking mad to destroy all those perfectly good cars, and to get nothing in return for it but three billion dollars of debt. What person in their right mind does such a thing? It didn’t even reduce Carbon Emissions, because building and shipping a new car requires three to eight tons of carbon, while driving the same old clunker required zero. It would take over five years to make up the difference with a new car, and eight years with a new truck, if the increased gas mileage was as good as promised, (which it wasn’t, due to computer glitches, faulty sensors turning on the check-engine-lights, and people driving with the check-engine-lights on, and also the natural aging of new cars.) Furthermore, the foreseen reduction of carbon would have had only an infinitesimal effect on world temperatures, even if Global Warming were proven true. In their ignorance Washington glibly stated that Cash for Clunkers would be a boon for scrap yards, blissfully unaware that much of the profit at such yards comes from taking apart engines for parts, and that, with engines destroyed, profits would sharply decline. But what does Washington know or care about greasy hands and bruised knuckles? At least 300,000 and as many as 500,000 of the 690,114 new cars would have been sold anyway, because people need new cars even without incentives, so the government was paying-for and destroying between 300,000 and 500,000 used vehicles for absolutely no reason. Some stated that if the poor couldn’t afford cars, their immobility would increase the use of public transportation. Again, it is not the wealthy that have to stand waiting in blazing sun or in winter blasts, or are uprooted because they do not live where such transit is available. The unintended consequences go on and on. The mechanics skilled in repairing clunkers were hurt; the newer cars were far more expensive to maintain, due to computer glitches, and, when faced with the fact that plugging into a dealer’s computer to diagnose a problem could cost a hundred dollars, people simply chose to drive with the check-engine-lights on. (So you can throw the manufacturer’s estimated-gas-mileage out the window.) People do what they must to get by, and there even was an increase in uninspected and unregistered cars. It is not that the poor want to be scofflaws or to enact some sort of political rebellion. They simply want to survive, but survival is something the barking mad in Washington has forgotten all about. This brings me to the current madness of increasing the cost of heating a home, on purpose, to fight some theoretical warming of the planet in the future. This is another display of being barking mad, for the coming winter is no environmentalist’s theory; it is a grim reality that can kill. What do the privileged elite in Washington know about cold homes in January, or of needing to chose between freezing and food? At their glittering, January parties the only ice they know is in their drinks, as they pontificate the politically correct arfing they call profundity. They know how to frown at the words, “strip mine,” while waving away the subject of unemployed miners, who they never face eye-to-eye. They know the correct disapproval to show for the rural poor’s smoking wood-stoves, and the right way to clasp hands and smile as wind turbines kill eagles. They rumple brows over a tenth of a degree rise in world temperatures they can’t feel, enacting legislation that chills the homes of the poor they never meet ten to twenty degrees. The fact such legislated “energy poverty” is barking mad was already proven, by an increase in the death rate of the elderly in England by 30,000 in the winter of 2012-2013. The elderly of England could not afford both food and fuel, and didn’t get enough of either. Because the old can’t withstand cold, especially when hungry, and because a common cold can swiftly turn to pneumonia, turning down the heat meant death for 30,000. What sort of savage society of primitive cannibals allows its elderly to be treated in such a vile manner? It was to avoid such barbaric treatment that FDR created Social Security in the first place. His grave must rumble with a rolling sound, now. To have intentionally brought such misery down upon the general population is the behavior of the certifiably insane. The English leaders were barking mad, and now Washington wants to copy them. The oncoming hardship, bad enough in an ordinary winter, may be worsened by an especially brutal winter. In theory an El Nino might warm the planet, as a whole, by a tenth of a degree, but in fact an El Nino Modoki, (which is expected,) may warm other areas but brings exceptional cold to one particular part of the planet: The eastern and central United States. Some runs of some models foresee a winter as bad as 1976-1977, which was so vicious it prompted people back then to talk of “a coming ice age.” It is to be hoped these model runs are wrong (as they often are) but what if they are not? Assume the attitude of an Alarmist, and imagine that the models are right. We are then facing a crisis. Our government seems exceptionally incapable of dealing with such a crisis, for it lives in a landscape of delusion. It does not care for the elderly; it cares about being re-elected. The oncoming winter could loom like the black shroud of the Grim Reaper, and still a politician’s primary concern would be suppressing voter turnout in unfavorable districts. The best that can be hoped for is a national awakening, and a voter backlash in November, and a completely changed congress next January, but by then it will be too late. It is conceivable, even likely, that in the face of a winter like 1976-1977, fuel prices would skyrocket, and there would be shortages, brown-outs, and even shutdowns. For many there would be no money left over, after paying for heat. There would be no so-called “disposable income.” For the poor, it would not be a matter of staying warm; it would be a matter of staying alive. Immediate action would be required, but by the time the bumbling bureaucrats came wandering back from their Christmas recess, not even a potentially vibrant new Congress would be able to kick their inertia into action before March, at which point the damage would be already done. In the face of such a future it is high time for the American people to enact a rebellion, but not like any rebellion the powerful expect. It should be a rebellion outside the expectations of economic experts, and completely beyond the comprehension of Washington insiders and the wealthy elite. It would be beyond their comprehension because it would do what they fail to do. It would care for the elderly, and care for neighbors. Considering all too many Americans don’t even talk to their neighbors, such a rebellion might seem impossible, however Hitler did not think it was possible Londoners could withstand his Blitz, yet they slept in subways, and those of Hitler’s advisers who guaranteed London’s despair, due to people sleeping in subways, were flabbergasted by an increase in high spirits, as the English people rebelled against the barking mad oppressor raining bombs from their skies. The rebellion I envision doesn’t involve raining bombs or sleeping in subways. It merely involves sleeping at a neighbor’s, or having several elderly neighbors sleep at your house. It involves the simplest economics, which is that if you turn off the heat and electricity and drain the water pipes, and move in with your neighbor, the two of you will together only need to pay half as much for heat, if you share the costs. In cases where three households can fit into a single house, you would only pay a third the cost. Nor would such an arrangement be permanent. To be most effective, it should last only sixty days, from just after Christmas to before the first of March. These sixty days involve the cruel heart of winter, when heating bills are most likely to ruin a budget. If you could put up with your neighbor only that long, think of the money you’d save! 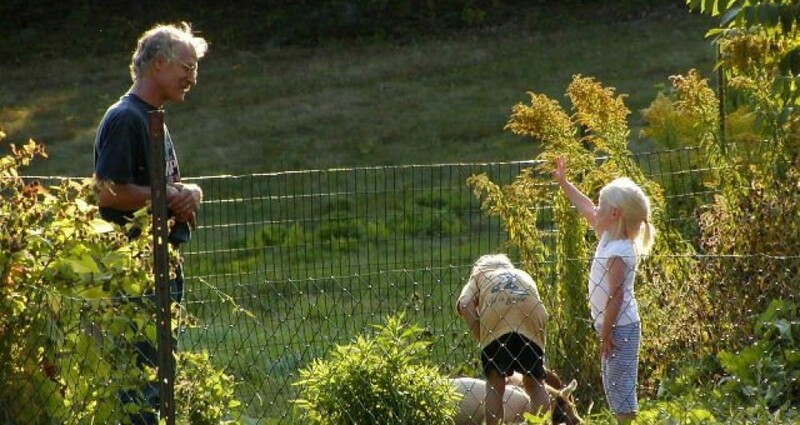 Of course, getting along with neighbors is no easy task. If the younger adults question the old-timers, they might learn about neighbors called “hippies” who lived with neighbors in places called “communes,” and learn about lots of things you should avoid doing. However likely they wouldn’t learn what to do to make the situation work, for most communes were abysmal failures. Getting along with neighbors is no easy thing, even for only sixty days. However the Londoners, sleeping in subways during the Blitz, were sustained and derived relish from the simple fact they were defying Hitler. Perhaps the same relish might make neighbors more able to tolerate neighbors in modern times, for surely such behavior on the part of the American people would shock the socks off the barking mad in Washington. It is beyond the limits of their feeble minds, for they prove they are incapable of comprehending neighbors caring for neighbors, when they fail to care for constituents. Just imagine what the effect would be, if my idea caught on. When the oil delivery man came down a street with ten houses, he would not deliver oil to all ten, but to only five, or even only four. Because he delivered less, rather than the oil price going up, it would go down, due to the laws of supply and demand. Even better is to imagine the consternation in Washington. They depend, in part, on a tax collected with each gallon of oil and propane delivered. If only half as much oil and propane is delivered, they collect only half as much tax. It is tantamount to them opening their pay envelope on payday, and seeing their paycheck is only half as large as they expected. They will deem this a serious problem. Fortunately, they are such dunderheads they will never see it coming, and by the time they wake up the sixty days will be past, and everyone will be back in their own houses, innocently whistling. They may even say it is better for people to freeze alone than to cohabit in a warm, shared, happy household. At their glittering parties they will nod in agreement about how cohabitation stresses leech fields and septic systems, and must be banned. Others will state cohabitation spreads infectious diseases, and must be banned. Whatever they say will seem sublimely logical, to them. However whatever they say will increasingly look like bunkum, to an American people who neither died of infectious diseases nor destroyed their leech fields, during their sixty-day, Gandhi-like, nonviolent rebellion. However, just to be on the safe side, those with legal inclinations should perhaps prepare some legal briefs beforehand, arguing that religious freedom is involved. It doesn’t matter if they are atheists, they can point out Christianity makes a big deal about loving neighbors, and that “loving your neighbor as yourself” is right up there with worshiping the Creator, among Christians. Not that we Americans care all that much about our neighbors. What we care for is our own independence and individuality. However, through the wisdom of our forefathers, we also know that we had better care for the independence and individuality of our neighbors, and stand united, or we will fall divided, for if our neighbors lose their independence and individuality, so will we. So important is this concept that those with legal inclinations should likely figure out a way to file a lawsuit even before the EPA bans cohabitation. The best defense is a good offence, after all. The rest of us, who are not so legally inclined, should likely have some talks with the neighbors we never wanted to bother, and have never before gotten to know, during these Halcyon days of summer. Scoffers will say my proposal will never work. (Likely their neighbor has halitosis and seldom changes his or her socks.) However when dealing with the barking mad you need to bark back. (Though you might like to allow your neighbor to live as he chooses, you need to tell him that for sixty days he should brush his teeth and change his socks.) However I think my idea just might work, due to something I noticed in my study of the London Blitz. As a poet, I love that description, “A White Heat,” but as a scientist I am appalled, for no thermometer can measure it. Even as a pseudo scientist and psychologist I am made nervous, for psychology seldom talks of a goodly power that can take on Hitler and shame him to suicide. Christians would likely assert “A White Heat” is a gift from God given to those who take on evil, but because I don’t want to alienate goodly atheists, I’ll just state that if you stand by Truth, Truth stands by you. It is the strangest thing, for I am a pragmatist who prefers a large woodpile to standing by a cold stove expecting “White Heat”, but I’ve seen this over and over in my life: If you tell a lie, it haunts you and tracks you down, but if you tell the truth, though you may get sneered at and jeered at and even fired, in the long run you get “A White Heat.” Scoffers can doubt, and point out 30,000 elderly in England felt no “White Heat” this side of Glory, but it is also true people do not take kindly to politicians telling them to freeze, and it it does not take much for a smoldering public to blaze into Light. In conclusion, that is my proposal. We need to condescend to love our neighbors for sixty days. If others have other ways we might respond to leaders who are barking mad, I am eager to hear their proposals. However I hope we can agree on this: The leadership is barking mad, and it is time to bark back. After a glorious day the wind has shifted back to the north, and we are back to hanging on, glumly waiting for spring. Sleet patters against the pane, and outside the windswept world has gone backwards to white. However the birds aren’t waiting. As the older children waited hunched, looking down the wet street for the delayed school bus, a gang of robins hopped, also hunched, over the whitened playground. The kids wanted to talk about TV, and didn’t much want to listen when I told them there is a new song overlaying the old. However I listened. The shrill peeps of winter chickadees and titmice, and the taunting “nyah nyah” of winter nuthatches, had been drowned out by the more lavish spring songbirds. Despite the snow a robin sang. It started me thinking. With spring so delayed I started wondering how the birds were handling life. In many ways they are creatures of amazing instinct, and have a problem with changes in routine. When the swallows returned to Capistrano on Saint Joseph’s day, what would they do if they found six feet of snow and no bugs to eat? Would they have the brains to turn around and head back south until the snow melted, or are they so imprinted by instinct they would stay, attempt to build nests, and starve? I remember my seventh grade science teacher, a strict and stone faced old lady of seventy appropriately named “Miss Marble,” had a soft spot for birds. I recall being surprised to discover, when kept after class for causing her to glower at me several times in a single hour, to learn she actually could smile. All you needed to do was bring up the subject of birds. There are other reports of bluebirds frozen to their nests by other storms. 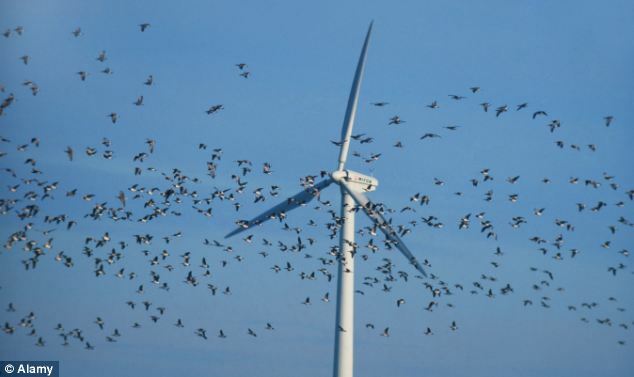 These incidents suggest that the avian instinct to migrate north, and build nests at a certain time, may be more powerful than the common sense we mammals (sometimes) possess. This topic came up recently as a friend and I discussed wind turbines killing eagles. My friend insisted birds could learn, but I was not so sure. Also, in the case of the endangered whooping crane, there are not many birds to begin with, and some fear the entire population will be wiped out before they can learn to adapt. One blunder involved the fact whooping cranes lay two eggs, but usually only one chick survives. Therefore one egg was snitched and put in the nest of a sandhill crane. These adopted chicks were raised, however, because they had imprinted on sandhill crane parents, they refused to mate with other whooping cranes, and their population died out. 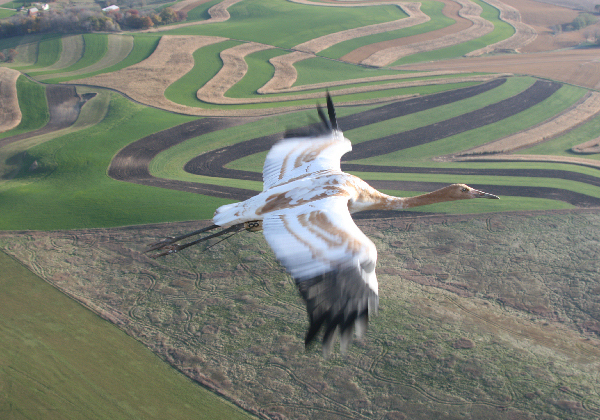 Another blunder involved teaching young whooping cranes a new migration route, leading them with an ultra light. There was a collision between an ultra light and a crane. The crane lived, healed, and eventually migrated, however it was only at the cost of hundreds of thousands of dollars, for a single bird. The cost of raising and reintroducing a single whooping crane into the marshes of areas outside the last remaining wild population in Texas is roughly $100,000 per bird. Then you have the blunder of a Louisiana boy, out hunting in the marshes, who sees this strange, new, and very huge bird winging by and blasts it from the sky, and furthermore unwisely has his picture taken holding up this giant bird (and posts it on line.) He could have faced time in jail and an enormous fine, but fortunately a merciful judge judged him, and his fine was a single dollar (plus court costs of $500.) Rather than jail he got probation. These same people are now placed in a quandary, because the wind turbines they support may kill the whooping cranes they support. If you are going to get so angry at a kid with a shotgun in a swamp, how can you not get angry at a fat cat erecting a wind turbine in the flyway or by the habitat of an endangered species? However, if you are a fat cat, and have political connections, you can get something called an ITP. ITP stands for “Incidental Take Permit.” What it means is that if you build a wind turbine right where it will kill a whooping crane, and it kills a whooping crane, you cannot be fined, and you face no jail time. Never mind that building a wind turbine involves using “rare earths,” which involves open pit mines that scar landscapes in third world nations. Never mind that a wind turbine’s “carbon footprint,” once you add up all the building and power lines and “back-up power” (for when the wind isn’t blowing) is far more than a coal fired plant. Never Mind that there is no way to store the extra energy, on windy days. Never mind that, on calm days, the very fossil fuel plants you supposedly replaced must do the dirty work. Wind power is a lovely idea. I looked into getting a wind turbine for the farm, when I found myself in charge, but the more I studied the subject the more I was repelled. Wind power is a lovely idea, in the same way the Flying Cloud was a lovely ship, compared to a tramp steamer. However lovely clipper ships involved a lot of dead sailors. Ugly tramp steamers involve sailors who, for the most part, don’t die. What they really care about is for the birds. These people make it very hard for me to love my fellow man. All the religions of the world suggest we should love our neighbor, (and ignore the idiot priests who preach war against neighbors,) however these environmentalists prefer whooping cranes to humanity. Rather than love their neighbor, even when their neighbor is just a kid in a swamp with a shotgun, their love is for the birds. I too love the birds, just as Saint Francis did, but Saint Francis also loved humanity. Not that I am Saint Francis, but I’m embarrassed when fellow bird-lovers behave like they are the antithesis of Saint Francis. The environmentalists are not standing united, but are starting to fall divided. The “wind turbine” group is fighting the “whooping crane” group. If you love your fellow man, it is impossible to call any number an “over-population.” Even if the world population soared to fifty billion, every single person would be worthy of your love. I exaggerate to make my point, (and invoke “Godwin’s Law,”) but I assert that, in spiritual terms, as soon as you deem another segment of the population unworthy of love, (because they don’t care for birds,) you are deeming them unworthy of living, and have reduced yourself to the level of a Genocidal Killer. In other words, there are some bird watchers out there who, in spiritual terms, are as bad as Adolf Hitler or Pol Pot. Just as Hitler murdered lots of Germans, claiming he loved Germans, and Pol Pot murdered lots of Cambodians, claiming he loved Cambodia, there are bird watchers who would murder bird watchers. There are even whooping crane watchers who would murder whooping cranes, for the sake of wind turbines. This confusion would automatically cease, if people dropped hate for love. The problem is that people lack faith, and expect the worst of their fellow man. They don’t believe people can learn, and can do the right thing. In the case of over population, the so called “population bomb” has not happened. My generation is called “The Baby Boom” because, after the horror of World War Two, there was an urge to replace the lost population, and also to have the big, happy families that were not possible during the Great Depression. However the boom did not last. In the same way, thirty years ago the average Mexican family had six or seven children, but now they have only two. All the charts and graphs, which demonstrated a “population bomb”, were based on a lack of faith that people could learn and do the right thing, however people have proved that lack of faith is incorrect. Birds may indeed be creatures of instinct, liable to “imprint” and then to be unable to escape that “imprint,” but humanity is not the same. Humanity may fall to the level of beasts at times, however the simple use of that expression, “level of beasts,” indicates humanity knows of an alternative. People are endowed of a mysterious thing called “a heart,” and can and have responded to love in ways that have totally transformed societies. As the children trooped into the yellow school bus, and the bus moaned off through the sleet, a robin sang from a fencepost, and a cardinal from the top of a tree. This is almost too depressing to talk about. However it needs to be said over and over again. So I have to give these links to reports that suggest otherwise.